Udinese and Torino face each other at Dacia Arena in what is expected to be one of the most entertaining games of Sunday’s program in the Serie A. Udinese aim to bounce back from a 1-0 loss to Fiorentina and the fact that they defeated Sampdoria in their first home game of the season is surely giving fans a reason for optimism ahead of the visit of Torino. 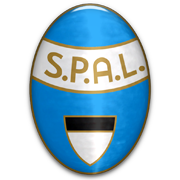 Il Toro, on the other hand, head into the game following a hard-fought 1-0 win over SPAL, but seeing that their away record in the Serie A is anything but good, we do not believe that there is a big value in betting on the visitors. As previously mentioned, a lively contest is on the horizon and we predict that both teams to score bet should be considered. In their last meeting at Dacia Arena Il Toro recorded a 3-2 win over the Zebrette.